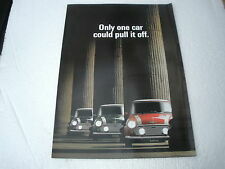 This is an original fold-out style sales brochure on this car from 1990 with 6 pages / sides and English text for the British Market. Mini Publication Ref: 4198. 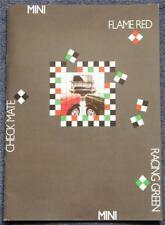 A4 size 6 page colour sales folder fdated 1990 My ref B993. 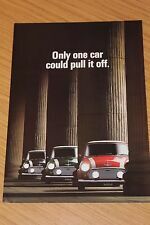 ROVER MINI COOPER Sales Brochure From 1990 PUBLICATION No: 4198. FORMAT: 6 Sided Folder Brochure. LANGUAGES: English. ILLUSTRATIONS: Colour Photographs. SIZE APPROX: 11”x 8 ¼”. CONDITION: Overall condition is GOOD/VERY GOOD. Handling/storage marks & minor creases appear throughout with scuffs/bumps to the corners/edges. Please see attached photographs and if you require any further details we will be only too happy to assist. 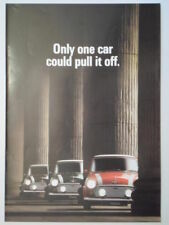 Another item from POOKS MOTOR BOOKS HOW TO PAY We Accept PAYPAL, UK STERLING CHEQUES, BANK TRANSFERS (GBP Only) and ALL MAJOR CREDIT/DEBIT CARDS. To pay with a card please select the PayPal option & click on the “pay with a card” link on the PayPal login page or give us a call. 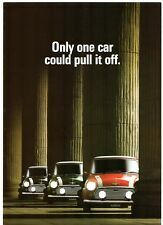 MINI CHECK MATE - RACING GREEN - FLAME RED - JOHN COOPER CONVERSION Sales Brochure From 1990 PUBLICATION No: 4152. FORMAT: Stapled Brochure, 12 Pages. LANGUAGES: English. ILLUSTRATIONS: Colour Photographs. SIZE APPROX: 11 ¾”x 8 ¼”. CONDITION: Overall condition is VERY GOOD. Handling/storage marks, minor creases & light soiling/discolouration appears throughout with scuffs to the corners/edges. Please see attached photographs and if you require any further details we will be only too happy to assist. 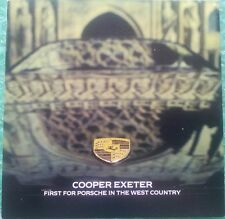 Another item from POOKS MOTOR BOOKS HOW TO PAY We Accept PAYPAL, UK STERLING CHEQUES, BANK TRANSFERS (GBP Only) and ALL MAJOR CREDIT/DEBIT CARDS. To pay with a card please select the PayPal option & click on the “pay with a card” link on the PayPal login page or give us a call. Dated 1990 and covers 1990 models. 6 page folder, well illustrated, English text. 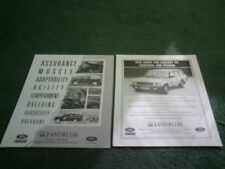 YOU ARE VIEWING A CLASSIC ROVER RSP COOPER SALES BROCHURE PUBLISHED ROVER GROUP 1990 PUBLICATION NUMBER 4198. IT IS COMPLETE AND IN NEAR MINT CONDITION. Undated but c early 1990s. MINI - City, Mayfair, Cooper. 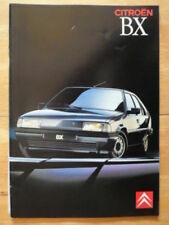 Maestro - Clubman / Clubman D / 1.3LX / 1.6LX / DLX. MG 2.0i / Turbo. 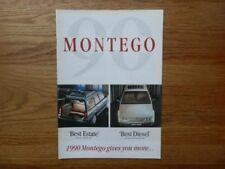 Montego Saloon - 1.6 Clubman / LX / SLX, 2.0 LX / DLX / SLX / DSLX / GTi / GSi. MG 2.0i / Turbo. 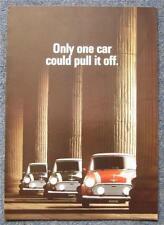 Montego Estate - 1.6 Clubman / LX / Countryman / SLX, 2.0 LX / DLX / iCountryman / D Countryman / SLX / DSLX / GTi / GSi. The rear of the flyer shows a couple of pictures of accessories. To avoid confusion I like to be honest when describing brochures. I would describe this one as near mint condition. st class for. Publication number 4198. 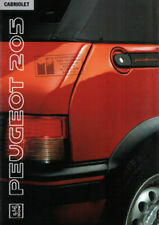 Dated 1990 and covers 1990 models. 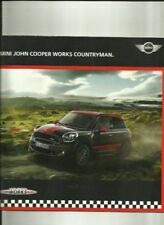 "MINI SPRITE MAYFAIR COOPER CABRIOLET THE RANGE BROCHURE-25 PAGES # 4898-1995"